L.L.L4L.L.L. 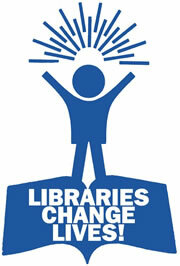 : Try The Hub for important school library updates. There is a summary of the information from the survey made by the CBCA summarised by Marj Kirkland, National President available on this page. Conditions in libraries are found to be poor in the surveys and they highlight major problems with library staffing and budgets. Find out what a sad state our libraries are in. After the "Inquiry into school libraries and teacher librarians in Australian schools"
the previous Chair of the Committee of Inquiry, Sharon Bird, asked for some brief descriptions of successful TL programs, just 4-5 paragraphs,describing a library where programs have been successful, things that work, success stories for student learning, supporting what has been asked for in hearings. ASLA and The Hub will work jointly on this effort. Please consider adding a "success story" to the oztl wiki. As the previous chair, Sharon Bird said: " I appreciate that it will be another task on top of busy lives but if we want the general public to read the report and understand what it is we are talking about then some of those real examples would be very useful."